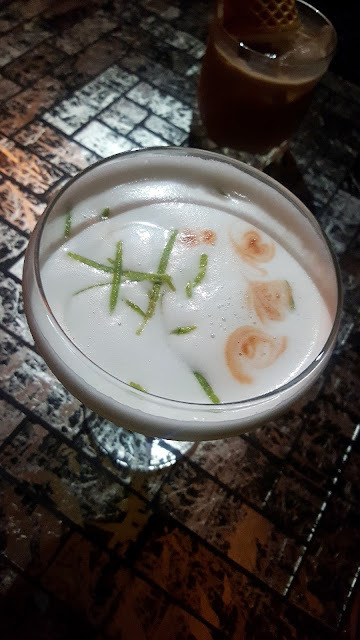 I've always wanted to go a Speakeasy bar but it's only recently that the Manila nightlife started embracing this type of bars. When I was in college, what were popular were disco bars where you couldn’t barely hear one another, dance 'til your feet hurts and get wasted AF. But it's the era of millennials and I believe this generation have a good grip on mixing the old and the new. Night outs tends to be more relaxed, where you can just sit, chat and enjoy a drink or two. Doesn't really have to do with aging but after a busy week more people nowadays are opting for something that's chiller. 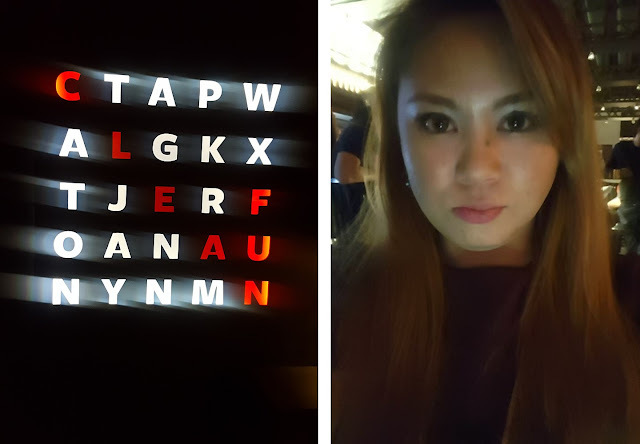 I was pretty excited when one Friday night my colleagues and I went to 2 of the secret bars here in Manila. 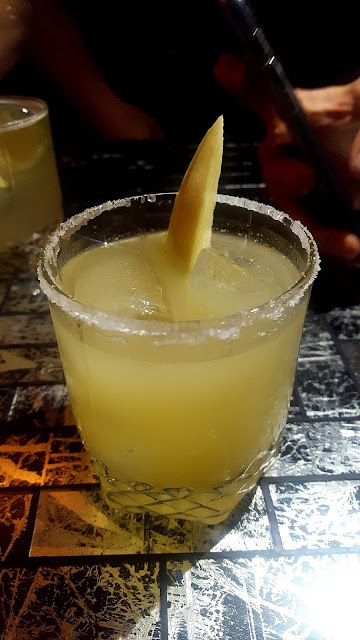 The first Speakeasy bar that we visited was tucked in a basement behind a burger joint named ABV (which you can read about here) and the second one is RM-16. 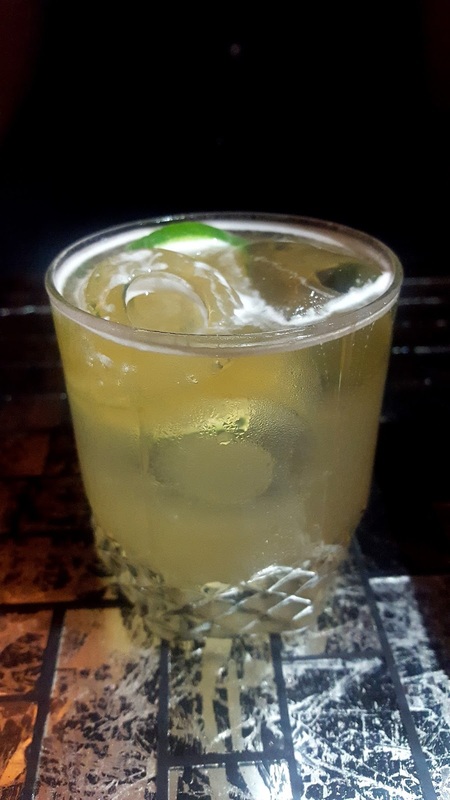 RM-16 is the newest addition to the secret bars in the metro. 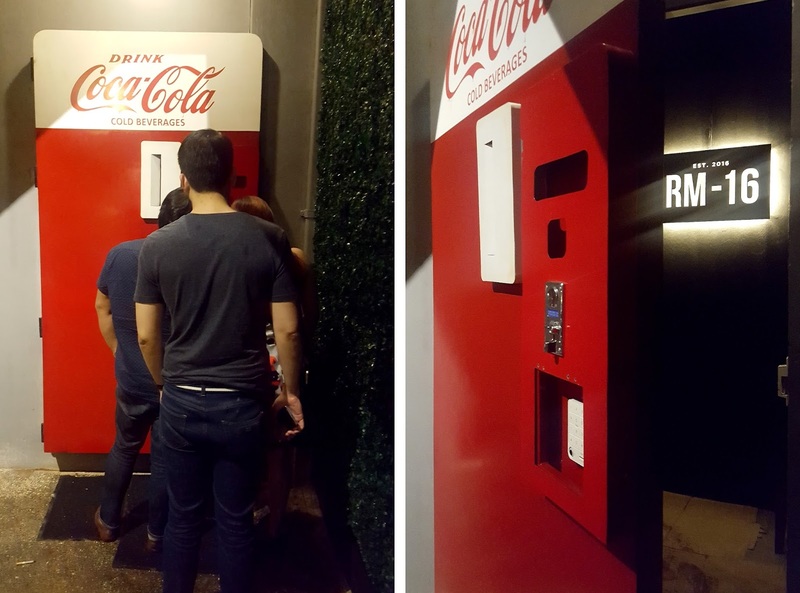 It is accessed via a door resembling a soda machine and you need a password to get in. It is located behind another new restaurant in Kapitolyo which is Tittos Latin BBQ & Brew. I've been to 3 secret bars so far: OTC, ABV and RM-16. The first two have the real vibe of the speakeasy bars because of their vintage interiors. On the other hand RM-16 is modern, hip and had a more industrial feel to it. 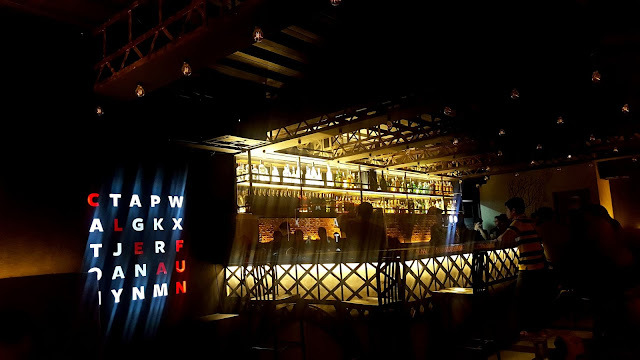 At the time of our visit there was a DJ playing modern tunes but the owner told us it is only on Fridays and Saturdays that they play such music to cater to the younger crowd. But on other days they play jazz and mellow music too. Their bar list is composed of curated cocktails concocted by the same mixologists from Niner Ichi NaNa. 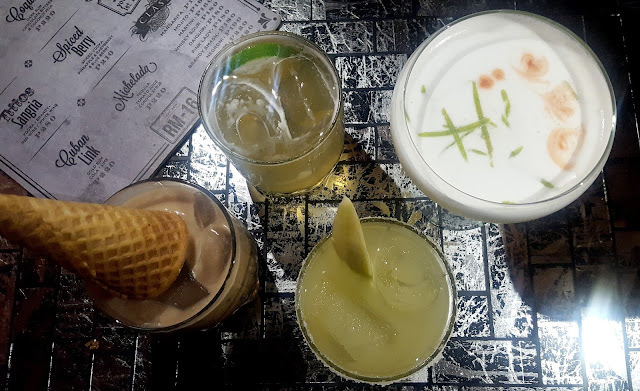 The owner made us try their best-sellers: Peruvian Sour, Coquito, Querida Rita, Cilantro Fresco. And also, depending on your mood, the bartender can create a drink that will represent what you're feeling for that night. 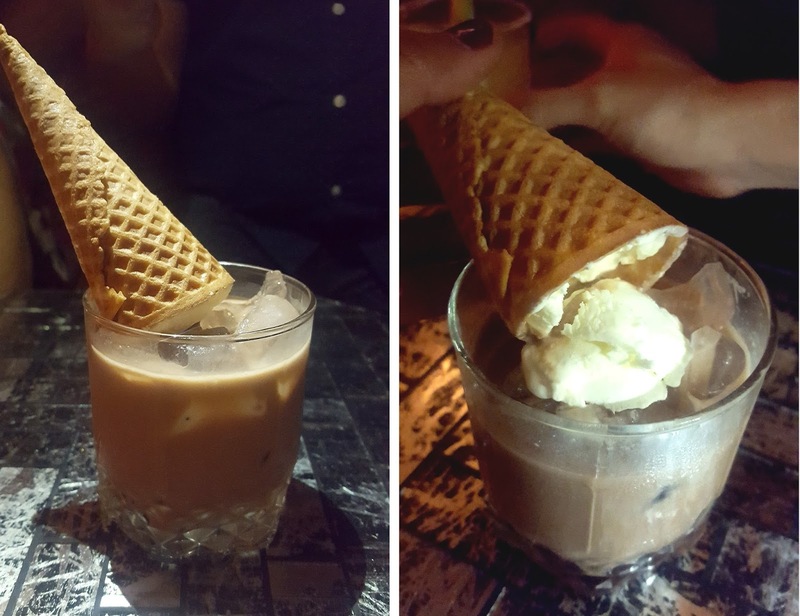 Besides whiskey, I also like coffee/cream based liquor and that's why I liked their Coquito. Plus it was with complete presentation with that turned over ice cream cone and vanilla ice cream on top. Will I go back? Yeah, probably, when the crowd is my age and the atmosphere is more relaxed. 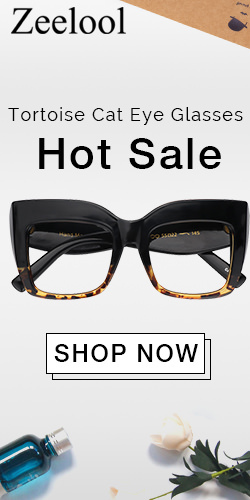 But it's definitely a must try.